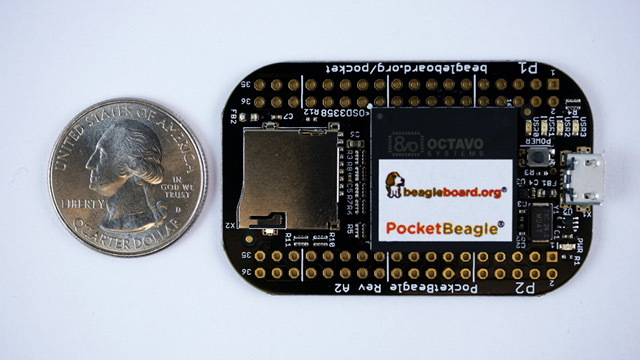 The PocketBeagle is an ultra-tiny-yet-complete open-source USB-key-fob computer. PocketBeagle features an incredible low cost, slick design, and simple usage, making PocketBeagle the ideal development board for beginners and professionals alike. It is a low cost Linux computer with tremendous expansibility. It's openness and flexibility help to provide a seamless transition from prototype to product.